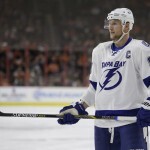 The best part of the 2018 NHL Playoffs is that as we embark on the Eastern and Western Conference Finals on Friday, not one of the final four teams has won the Stanley Cup in the last decade and only the Tampa Bay Lightning have won it before (in 2004). It’s a welcome change from the usual suspects. With the exception of the Boston Bruins (who won the Cup in 2011), either the Pittsburgh Penguins (2009, 2016, 2017), Chicago Blackhawks (2010, 2013, 2015) or LA Kings (2012, 2014) have won the championship for nearly a decade. Beginning with the Eastern Conference Final (ECF), here’s a look at what’s in store as we get closer to the Cup. 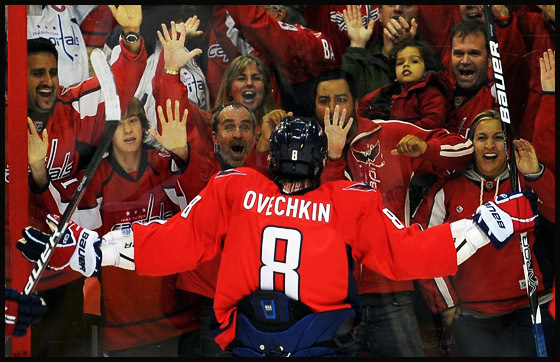 Nobody is more excited about this series than Washington’s captain and All-Star, Alex Ovechkin. 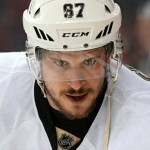 Not only is he making his first trip, of his thirteen-year career, to the conference final but he reached the milestone by ousting the Caps’ Achilles’ heel, Pittsburgh Penguins. In the last two years, the Penguins have ended Washington’s playoff hopes in the second round; but not this year. After an exhilarating 2-1 overtime victory in Game 6, the Caps were finally moving past round two for the first time in 20 years. The Caps are in a tough position. They are matched up against the most experienced team of the final four. The Bolts are making their third Conference Final appearance in four years. Their playoff experience trumps that of the Caps, who have less than a handful of players with any deep playoff history. Still, they have Ovechkin on their side and with 8 goals and 15 points in 12 games, he has the most points of any player in this series. Not far behind is Evgeny Kuznetsov with 7 goals and 14 points. Of course, the Bolts have Nikita Kucherov who, with 6 goals and 12 points in 10 games, is doing it all and captain Steven Stamkos who turned it on in round-two against the Boston Bruins, with four points in the final three games of the series. The Lightning were the NHL’s highest scoring team in the regular season and scored 17 goals in five games against the Bruins. 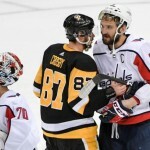 To their credit, however, it was the Caps’ defense that kept Sidney Crosby and the Pens at bay in their series so this series could go either way. This is just the third postseason meeting between the clubs, and the Bolts have a 2-0 series edge. They defeated the Caps in six games in the 2003 Eastern Conference Quarterfinals and swept them in the 2011 Conference Semifinals. This season, both teams won their division in the regular season but the Lightning (113) had an eight-point advantage over the Caps (105) in the standings, giving Tampa home ice for this all-important series, which kicks off on Friday. Eastern Conference Final: Tampa Bay Lightning vs. Washington Capitals tickets available here.